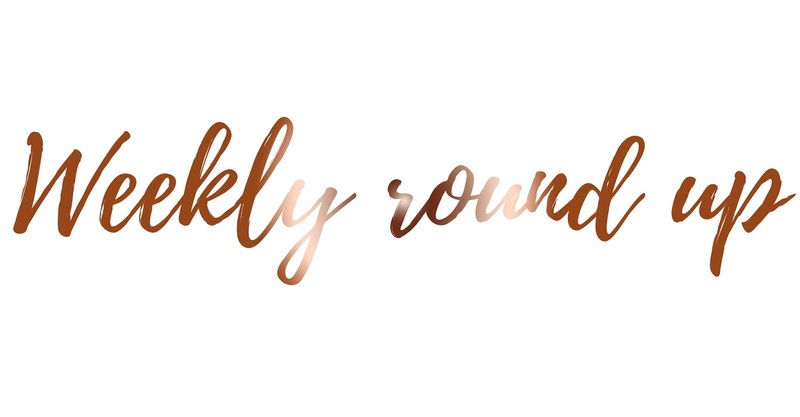 Today is the first day of my weekly round up. I wouldn't say this is a series however it is a post I'm going to be sharing every Sunday with a round up of how my week has gone, whether this is life in general, student based or even all about my blog! I really love looking back at how things have gone and how I can always improve. I wouldn't say a lot has happened this week as I haven't gone back to University yet, however it was definitely a hectic couple of days at work! As some of you may know, I work as a learning support assistant which a child who has ADHD. Some days can be absolutely incredible and he doesn't need my support so I can get on and support other children who need extra help, but this week was challenging and fairly stressful too. But what doesn't challenge you, won't change you. I've probably had one of the most laziest weeks going, probably more lazy than Christmas week which is definitely saying something! My boyfriend had eight days off work (wooo! ), so I've spent a lot of time with him (he's currently laid next to me whilst I write this, watching Come Dine With Me). I've definitely made the most of his time off by sitting by his side while we both play Forza. However, in the process of all of this I have wrote up a few blog posts, bought a bike and done a few workouts here and there! Regarding my blog, I couldn't be more happy! I've hit over 3.5 blog views this week. This may seem like not many views for some people but for me; I couldn't be more chuffed! My first giveaway also went live on my blog this week and there's a day left to get involved, so make sure you do! You can find the giveaway here. This week I also hit 875 followers on Instagram and nearly 4.5 on my Twitter account. I absolutely love how so many people follow me each day and it feels incredible knowing how many people I'm reaching out to as a small blogger. If you're interested in seeing what I get up too then my social media links are at the end of this post! I'd also like to quickly mention my New Year's Resolution's! One of them was to stop biting my nails and it's now the 15th day of the year and I still haven't bitten them! Although it's only been 15 days out of 365, to be able to go 15 days without biting my nails is incredible; they're so beautifully long right now and I think that's what I haven't bitten them yet! What have you been up too this week? Have you reached any goals? i absolutely adore reading your blog posts. you are such a down to earth person and I really admire that. Hope you have a relaxing sunday!